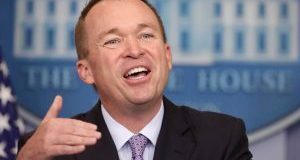 Speaking at an industry conference this week, Mick Mulvaney, Acting Director of the Consumer Financial Protection Bureau, outlined the bureau’s ongoing shift away from “regulation by enforcement” and toward more regulatory clarity. Last week, ex-CFPB Director Richard Cordray officially clinched the Democratic nomination for the governorship of Ohio. Campaigning on both his history at the CFPB and a promise to focus on economic matters affecting Ohioans, Cordray defeated five other contenders during the Ohio Democratic primary, including former Congressman and Cleveland Mayor Dennis Kucinich. Previous: What’s Happening With Single-Family Rentals?